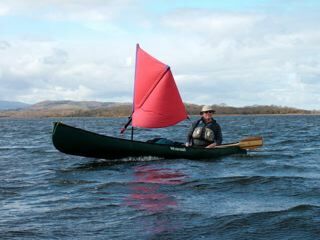 Ray completed the first complete canoe circumnavigation of Wales and first unsupported crossing of the Irish Sea & has paddled with Ray Mears. Ray and his trusty dog Dillie take us canoe sailing on Bala Lake and paddling and poling on the river Dee. Ray blazed the trail in the UK with the open canoe. He completed the first complete canoe circumnavigation of Wales and the first unsupported crossing of the Irish Sea. He also accompanied TV survival expert Ray Mears down the Bonnet Plume River. Ray and his trusty dog Dillie take us canoe sailing on Bala Lake and paddling and poling on the river Dee. 7 minutes. Shot in HD. 250MB. 16 x 9 widescreen.